EPE is excited for Major Andrew Bone from HQ Forces Command – Army. 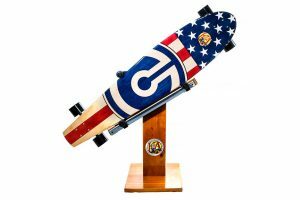 Andrew is the winner of the Tactical Electronics longboard which was custom designed by Kota Longboards in Denver Colorado. Tactical Electronics had the longboard handcrafted to giveaway in Australia at Land Forces 2016 which was held in Adelaide.